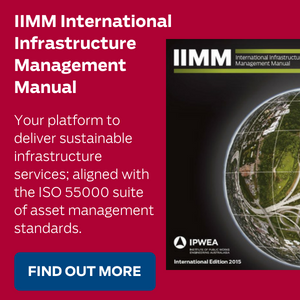 IPWEA is a global leader in the development and delivery of training, publications and resources for the sustainable management of public infrastructure assets. NAMS is IPWEA’s National Asset Management Strategy. 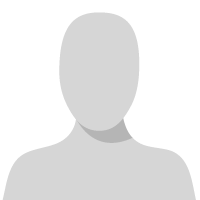 There is also a separate but associated NAMS Group in New Zealand. 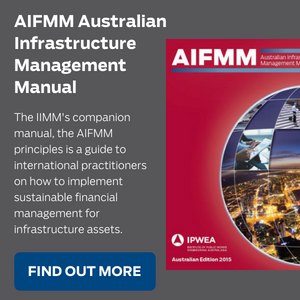 The NAMS Council is part of the IPWEA and is the pre-eminent body developing and delivering infrastructure asset management knowledge and resources for those with responsibility for managing public infrastructure assets. To support IPWEA to be the peak Australasian professional association that enhances the quality of life in our communities by providing nationally consistent leadership, advocacy and best practice in the sustainable management of public works infrastructure, community assets and services. Many of IPWEA's NAMS products and services are used in more than 20 countries worldwide, including the US, Canada, UK, New Zealand, Finland, South Africa, Malaysia and across Europe. 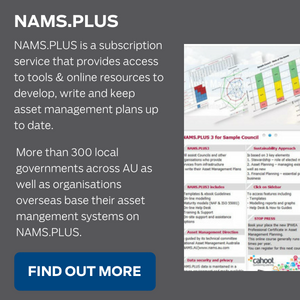 NAMS.PLUS is subscription-based to provide staff in asset-owning councils and organisations access to tools & online resources to develop, write and keep their Asset Management Plans up-to-date as demands on the organisation change. Buildings.PLUS is a web-based software application that has been designed for people responsible for asset management, facility management and property management in any type of organisation that has a significant portfolio of buildings. 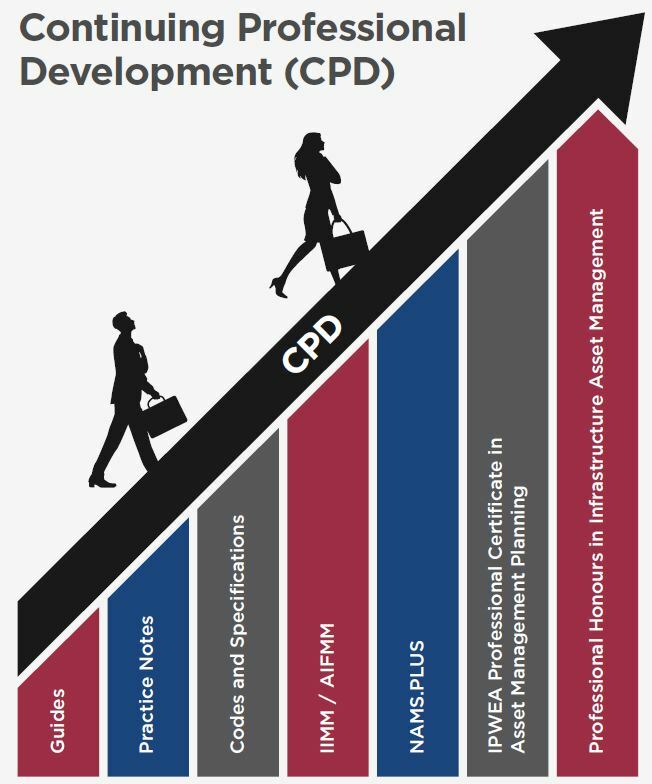 AUS-SPEC is the national local government specification system for the life cycle management of assets. It is a joint venture between IPWEA and NATSPEC, with the objective to improve consistency, quality, and efficiency in construction through proactive leadership of information. IPWEA has an extensive suite of practice notes, technical guides, codes and specifications available to public works practitioners. 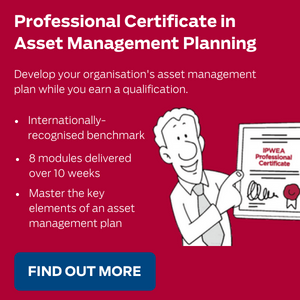 These cover asset classes and topics such as roads, stormwater, water supply and sewerage, buildings, parks streetlighting, levels of service, climate impacts, useful life of assets and long-term financial planning. 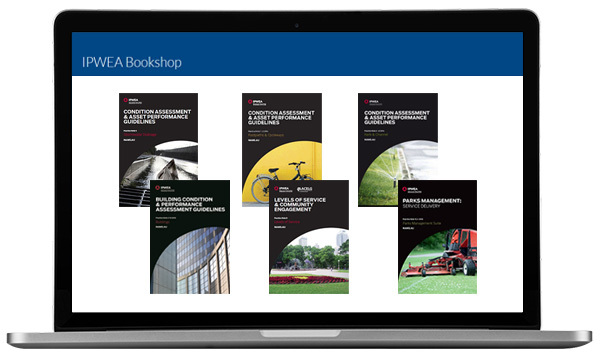 IPWEA publications are written by industry experts and are continually updated to reflect industry best practice. IPWEA has established NAMS Canada Incorporated as a not-for-profit association in Canada to provide access to IPWEA's NAMS.PLUS asset management tools, publications & training. NAMS Canada works collaboratively with municipalities and existing associations in Canada. VISIT NAMS CANADA.